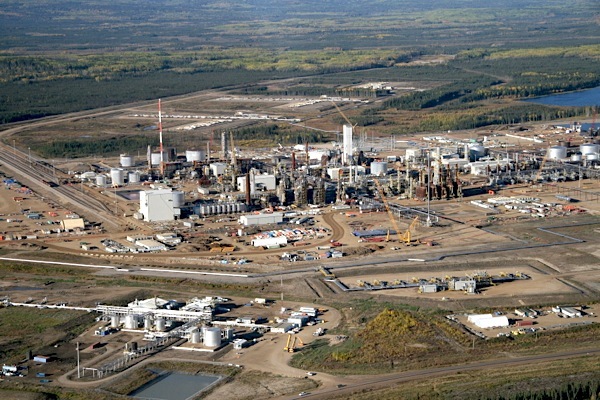 One of the largest leaks in Canada’s history spilled this week 5,000 cubic metres of emulsion — about 5 million litres of bitumen, sand and wastewater — from a Nexen Energy (TSX, NYSE:NXY) pipeline at the company's Long Lake oil sands facility, south of Fort McMurray. Alberta Energy Regulator (AER) said officials were notified of the leak late Wednesday and staff was deployed to help Nexen control the situation. There was no word on how long it would take the company to clean up the affected area — mainly along the pipeline’s route. The regulator did say that nothing had flown into the water and there were no immediate reports of impacts on the public or wildlife. The Nexen spill was discovered just as the AER was releasing its 2014-15 annual report, which revealed the number of pipeline “incidents” in Alberta increased 15% last year, despite the regulator’s well-publicized efforts to reduce ruptures and spills. The worst-ever pipeline accident in Canada occurred in December 1980 near the province’s mid-west town of Valleyview, when 54,000 barrels of oil were spilled. In April 2011, a Plains Midstream Canada ULC pipeline leaked 4.5 million litres of crude oil near a First Nations community in northwest Alberta. That one was the largest leak in the province in 35 years, and contaminated over three hectares in a heavily forested strip.